The spawning period provides one of the year's best opportunities to catch big bass in Florida, particularly for anglers who enjoy sight-fishing for bass in shallow water. Knowing when largemouth bass spawn is essential for success, but it can be a bit of a guessing game. Weather conditions determine when bass spawn, and the exact timing can vary from year to year. The biggest factor that drives bass to spawn is temperature. 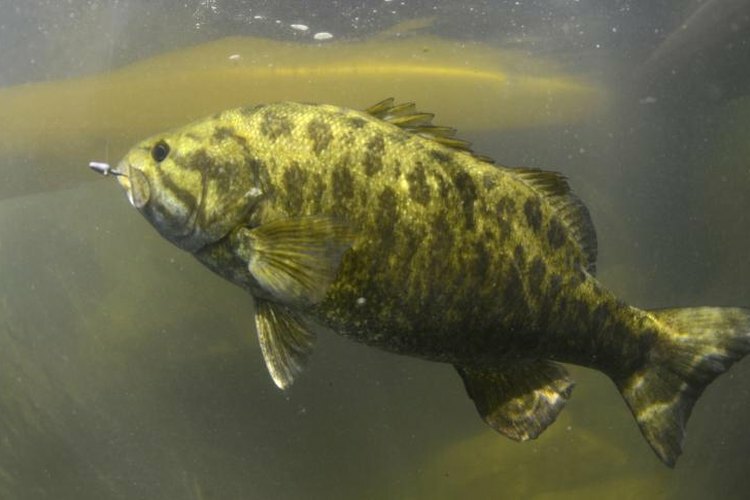 Bass begin spawning when water temperatures hit the 60-degree mark, though Bassmaster magazine points out that male bass can begin moving into spawning areas when waters are still in the high 50s (see reference 2). Spawning activity peaks with water temperatures around 65 degrees, and can continue as waters warm well into the 70s. Spawning can last for weeks or even months. In Florida, bass spawn between January and March, with the southernmost lakes beginning the earliest. Bass spawn in relatively shallow water -- often only a few feet -- and typically build nests or beds near structures like rocks, logs, reeds, brush or weed beds. These fish are often visible to anglers with polarized sunglasses. Bass are aggressive and territorial during the spawn, which makes them susceptible to fishing. Spawning bass should be released quickly to allow them to complete the reproductive cycle and ensure future generations of fish.